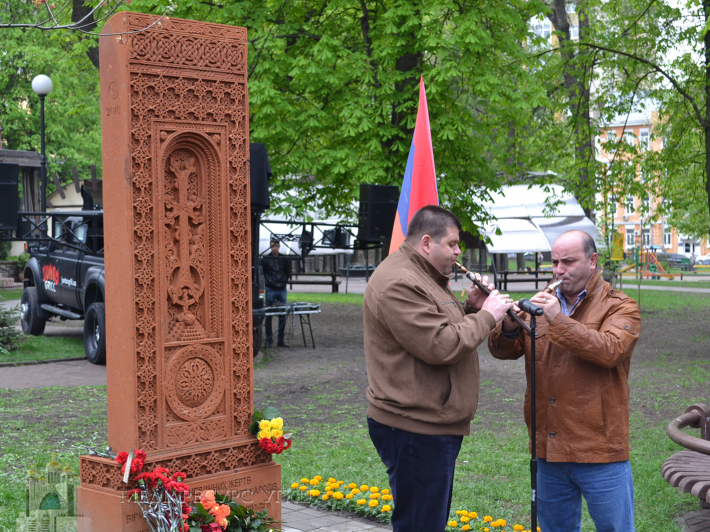 On Wednesday, April 24 a Moleben for victims of Armenian Genocide in Ottoman Empire in 1915 was held in Kyiv. 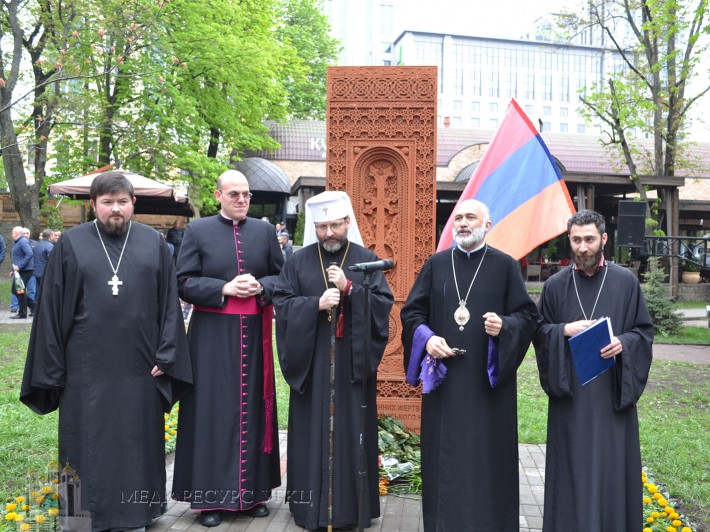 Father and Head of UGCC His Beatitude Sviatoslav on the invitation of bishop Marcos Oganesian, Head of Ukrainian Eparchy of Armenian Apostolic Church joint a common prayer on this mournful for all Armenians day, what was a token of solidarity and support of Armenian people. 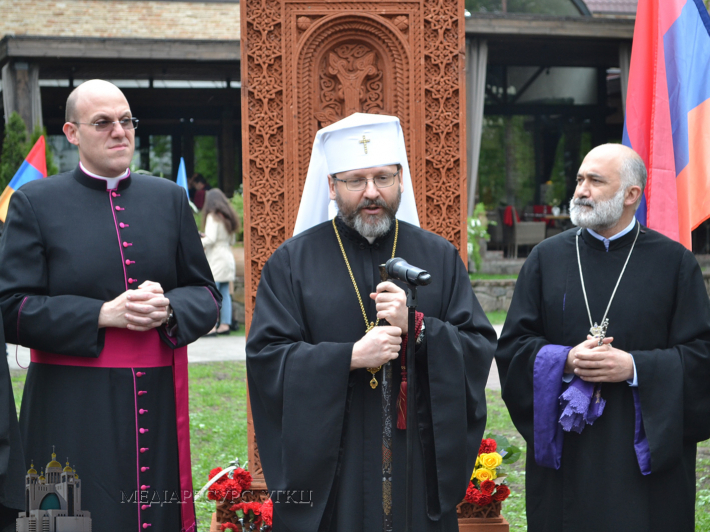 “We as Ukrainians perfectly understand the meaning of pain and suffering of Armenian people. Painful wounds of past and innocent victims join our communities with a chance to become a foundation for closer convergence for the sake of mutual admission of suffering, caused to our nations… There is a big future before our Churches, as well as people, since history of martyrdom indicates on a good fruit grown from these seeds. I wish our nations to become worthy successors of a great sacrifice of innocently killed forefathers, building the future for our nations with the greatest responsibility, grounded on Christian values”, as it was previously pointed out by His Beatitude Sviatoslav in his letter to the Catholicos of All Armenians, His Holiness Karekin II. Armenian Genocide – a genocide, planned and carried out in 1915 on the territories under control of Ottoman Empire. The genocide was being performed by physical destruction and deportation, including movement of civil citizens under conditions that lead to an inevitable death.